In the wake of events that have happened in different parts of our nation over the past few weeks, I have been thinking about this pledge and what it says. There are issues that can be solved if we took these words seriously. Look at the opening phrase. Its demanding. It requires you to believe in something other than yourself. I love seeing our flag waving in the Oklahoma breeze. I get emotional hearing the national anthem as our flag is raised at sporting events. There is this…power, that seems to come out of the flag. Our flag represents so much: freedom, justice, solidarity, sacrifice. The flag is proudly displayed on flag day. It is every where on July 4th. It drapes coffins in mourning of those that made the ultimate sacrifice for us. It centers us on a symbol of our nation. This says to me “I am the flag, I represent the United States of America. You are a citizen of this great nation. Much will be required of you.” Our nation means different things to different people. To me, it represents hope. It represents justice. It represents freedom. It represents freedom from oppression. What are we doing to ensure that our flag represents freedom from oppression? What are we doing to ensure our flag represents justice? All people deserve to be free of oppression. The events of the past week have shown us that we have issues. The truth is this – these are complicated issues. Ones that require hard conversations. I know this – all should have the opportunity to work on these issues. We all bring a unique perspective and all voices should be heard. Not just the billionaire, not just the elected official. After all, we are ONE NATION. This next phrase has become quite tricky. 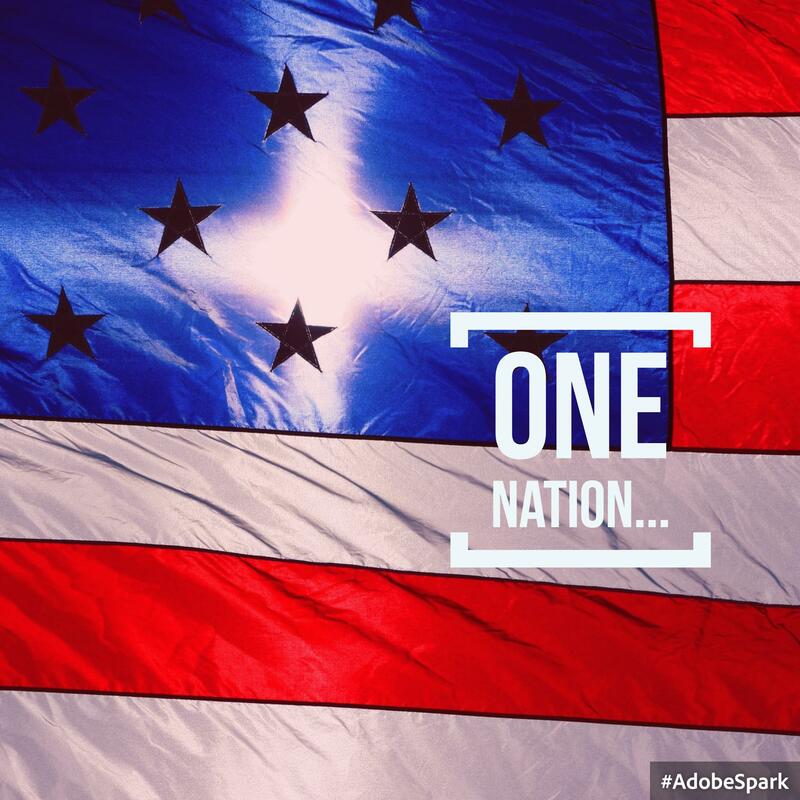 We are one nation. There are 50 unique states with their own rules. There are territories, with their own rules. Yet we function together. We are a unique nation, comprised of people from all over the planet. All of us with unique backgrounds and interesting stories. All of us have come from somewhere. All of us have a story that defines us. Yet here were are with all of the differences – One Nation. Under God has become more difficult to define in this day and age. My belief is that we are under God, as I follow a Christian faith. I also understand that there are people who are different than me, who have different faith than I do. They have the freedom to participate in a religion that is different than mine, guaranteed by the Constitution. And that is ok – people of many faiths have died defending our flag. I feel like we have lost our way in some of these aspects. Look at justice as it impacts those who are not capable of helping themselves. Do they have justice? Do our school children? Or our citizens living in poverty? What about the least of these, do they not deserve justice? These people represent part of our One Nation. When justice is felt in all areas of our country – across races and nationalities, some of these events would never have happened. Stand silent no more when you see injustice. Your silence equals acceptance. Its my belief that we can truly build the nation represented by our pledge of allegiance. It starts with education. Create systems where students can learn about different peoples, different nations, different races. Allow students to explore those differences, so they can find commonalities. Our diversity is what makes our One Nation so unique.